How have I been in London for fifteen years and not taken advantage of using the Eurotunnel to visit France? I truly feel like I have missed out on a decade of freedom on the continent, with my own car to explore and shop. 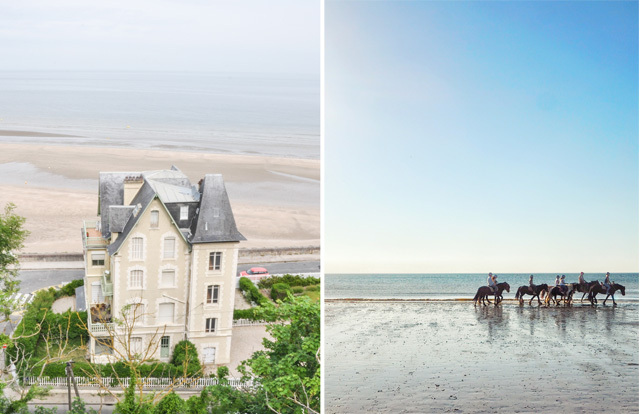 You see, I am a roadtrip addict and last month I took the ultimate of ultimate road trips through France, along the coast, in Normandy. 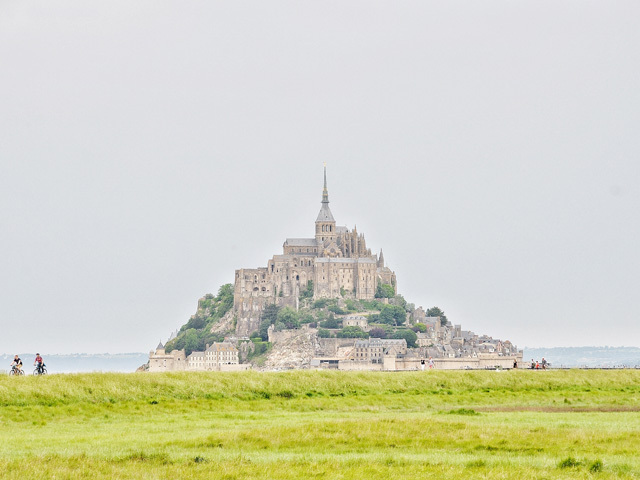 Now sure, the trip itself was perhaps one of the most picturesque journeys in Europe. However, it was the car, a new Aston Martin DB11, that was battling for all the attention. 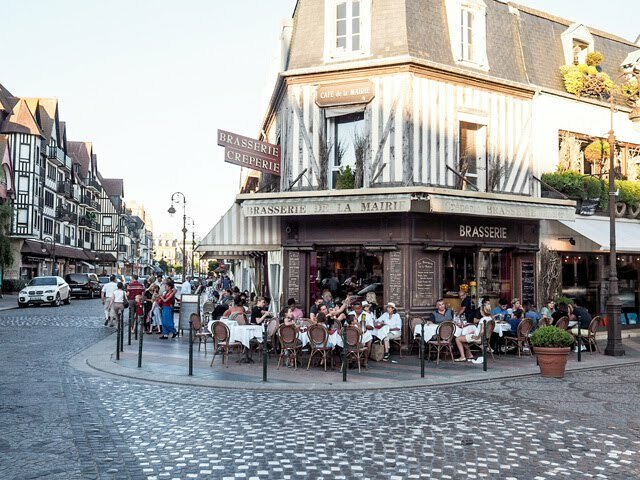 And let's just say it got plenty of admiring glances from the people of Normandy on this bright and beautiful cruise along the coast. As for us, we were torn between spending all of our time behind the wheel of this British beast and parking it to tour the local villages. 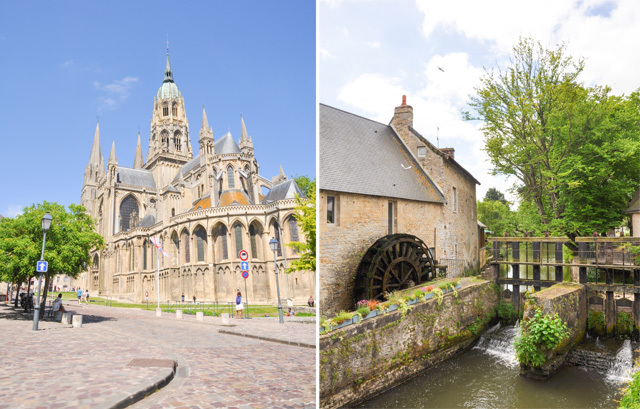 Over the course of three days we found the perfect mix, which brings us to where you sit today... with a 72 hour road trip travel guide to Normandy, France. This is a highlight reel, a "best of", if you will, with pictures of our trusty travel companion (and carriage) peppered here and there. Certainly you won't mind as the Aston Martin DB11 is truly a work of art, worthy of great praise and appreciation. Now, let's start with from the very beginning - the Eurotunnel. We were booked in to travel from Folkestone to Calais. Easy enough as Folkestone is about an hour and a half from London, depending on traffic, and if you are booked with the flexipass you pretty much just drive onto any train immediately upon arriving. There are up to four departures an hour so you are never waiting. It's glorious. If you're with a family, this is the dream. You never have to exit the vehicle and the journey across is only 35 minutes. We were just two adults headed out into the great unknown with a bottle of soda each and a few snacks for the journey (as I was thinking this was an epically long voyage... really should do research before going on trips like this). Of course driving a brand spanking new Aston Martin DB11 onto a narrow train is surely the most terrifying thing we've ever done. Let's just say the tires were not loving the experience. With great care we maneuvered in an out of the carriage and tried our best to remember from the word "go" that we were driving on the other side of the road. Early on in the trip we decided that we would leave sightseeing for day two of our adventure. 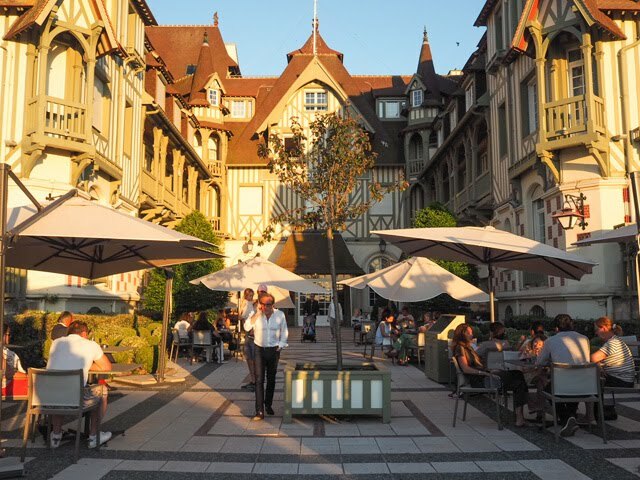 Our hotel was located in Deauville and we wanted to get into the town, unpack and get situated to plan ahead for adventures to come. So we drove to our base immediately, from the ferry, and let's just say that Mr. FFG planned this oh so conveniently. I do believe he just wanted time behind the wheel and was looking for any excuse possible to stay comfortably positioned as the driver of one of the most beautiful sports cars on the market at the moment. Can't say I blame him. So, fast forward a few hours and we are pulling into the Le Normandy Deauville. We parked the car (is it wrong that we felt quite strongly about doing that ourselves?) and made our way to a room with a view, an ocean view. 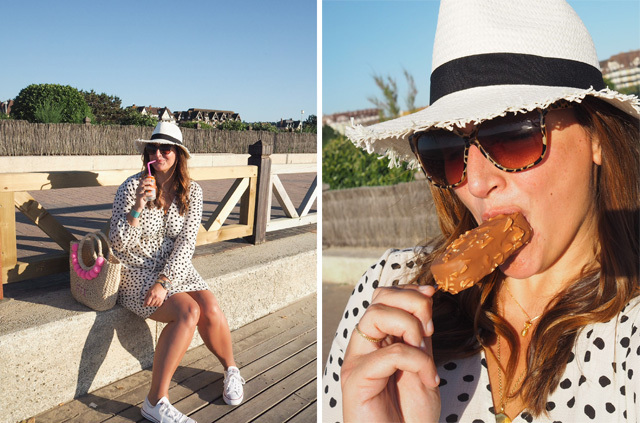 The windows were swung open, deep breaths were taken and we decided a walk on the beach would be the first thing we had to do, to seal the deal that this was a holiday. 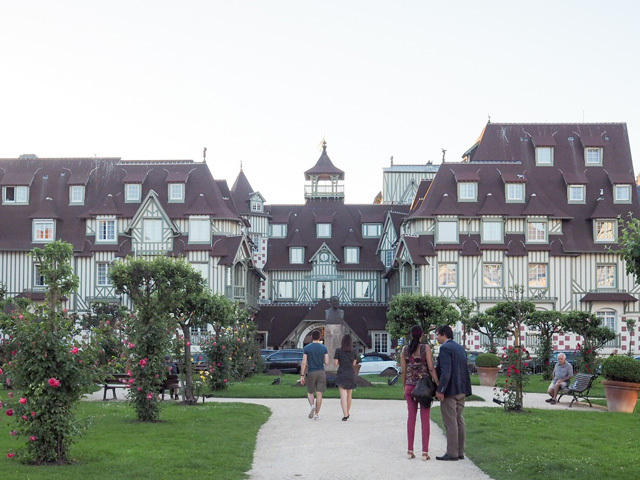 Now, a look at Deauville. 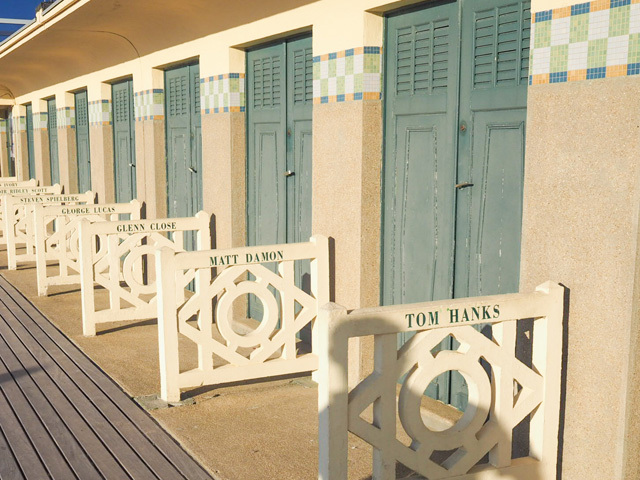 The beach huts all had a celebrity focus. Does Tom Hanks vacation here? And can we just talk about the shopping. 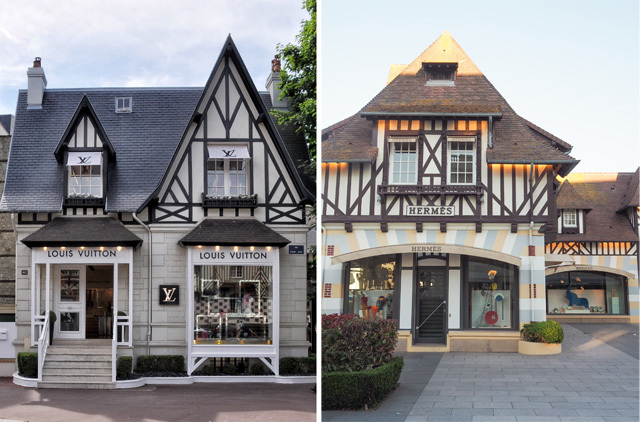 Tell me these storybook retail houses don't make you want to shop immediately in Deauville, France? The beach entrance to Le Normandy Deauville. 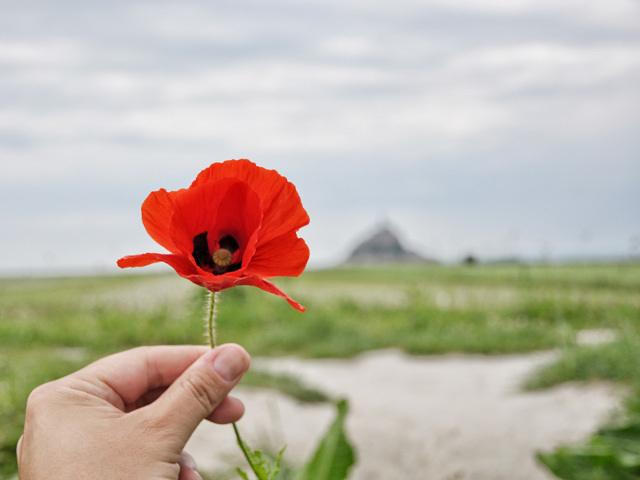 Now, let's get stuck into the first full day of our Normandy Road Trip. Warning: You should get used to a few pics like these. We'd see great backgrounds for the car along the way and stop to give it a little photoshoot here and there. 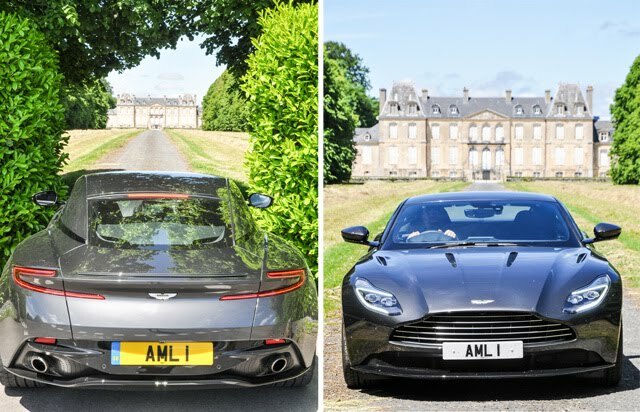 Could anyone argue that this Aston Martin didn't belong to this French Chateau? 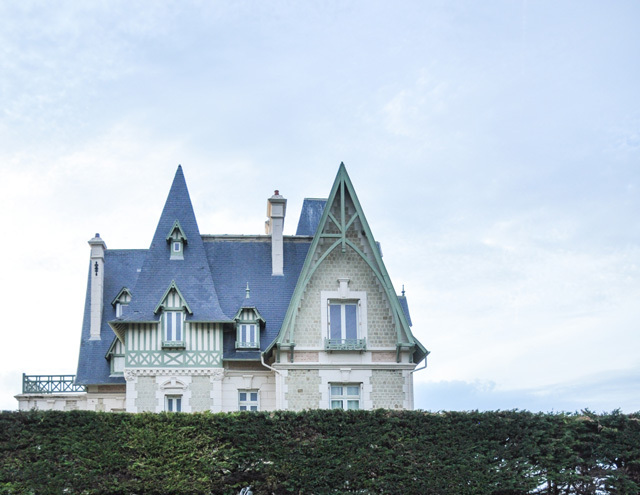 This was on the way to Bayeaux, France, our first official tourist stop on the Normandy roadtrip. As one might expect, we were in town to see the Bayeux Tapestry. 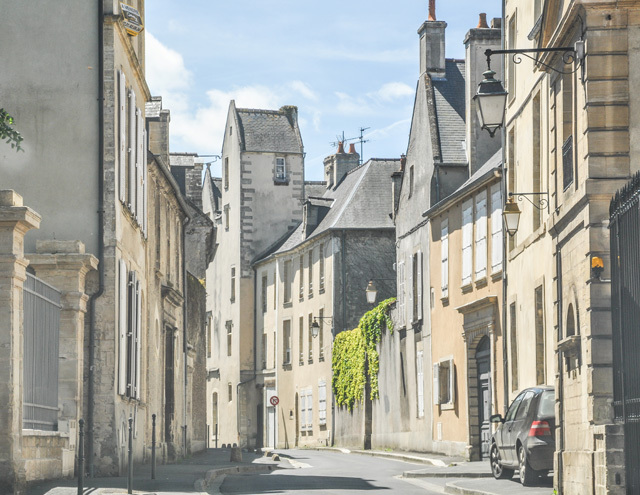 I had studied the tapestry for years while getting my degree in art history and I will say it was worth the journey to take in not only the picturesque town, but also the world famous tapestry. Be warned as the museum can get insanely busy in the summer, with lines stretching out the door. It should be no surprise to hear that getting there first thing in the morning is your best chance at a quick entrance and exit. Each and every person is given an audio guide to walk you along the tapestry and you are in and out in a matter of minutes. The history lovers amongst us will be in heaven here. After Bayeux, we were starving. And here is where instagram plays a massive part in our trip. I knew I wanted an epic seafood platter while in this part of the world. I mean have you seen the pictures of what's on offer? Well, I jumped onto instagram to see what was out and about near where we were driving next and the littlest seafood shop on the coast popped up on our radar. I won't list it as it was fun and beautifully presented but not the most incredible experience. Instead I will say this, use your social media channels as an aid. 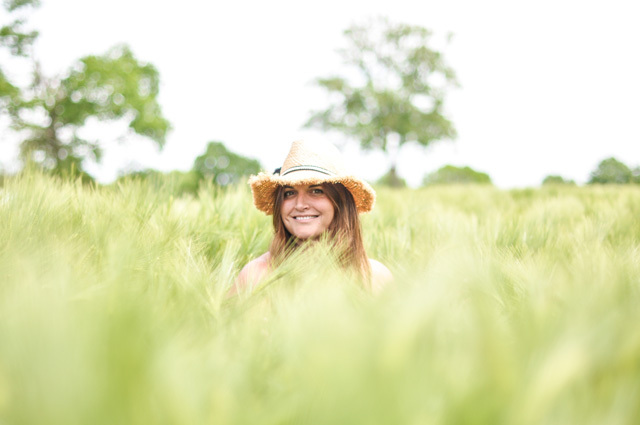 People are all too happy to tag food and places of interest in local spots and you can find some pretty quirky things if you are open to new experiences. We laughed more than we've ever laughed before as we tried to order a seafood platter, to our specifications, speaking very little french between the two of us. Now, day one was greatly about driving. We were still finding our luxury legs with the car and were inclined to stop along the way at many vistas to explore photo opportunities. Remember who you are dealing with here. I love a good photo op. 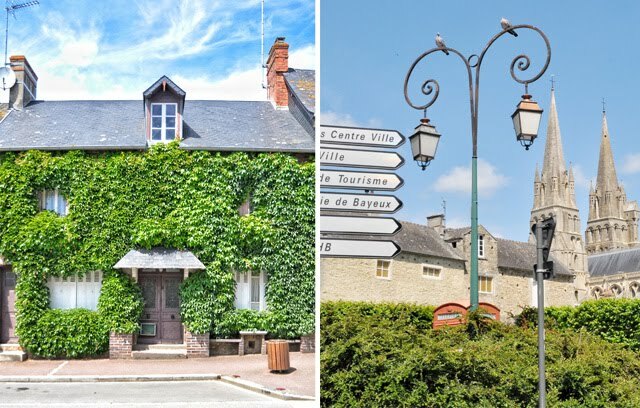 I like to think not everyone is so concerned with such things, but just in case you are, know that driving through Normandy is a photographer's dream. 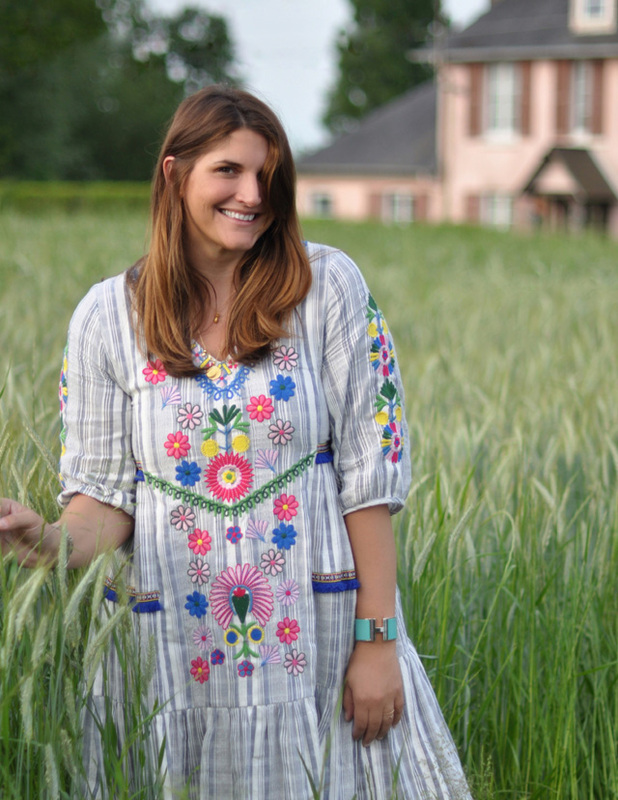 There are stops everywhere that invite you in to get lost in the beauty of the region, whether that be in forest-like stops along the highway or wheat fields running alongside winding hill roads. As we were on holiday, we were as laid back as they come, stopping whenever we felt inclined and even taking a moment or two to snooze in the shade. This is indeed the good life. Now, about day three. This one's a special one for me, in particular. 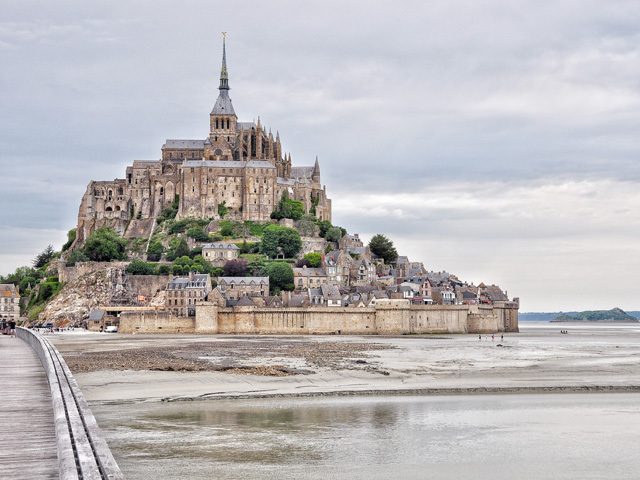 When I was twelve, I saw a picture of Mont-Saint Michel in a book and vowed one day I would stand before it in the flesh. You know, those crazy declarations we make as pre-teens. I'm pretty sure I made thousands. But, being able to remember one so vividly and then to see it come to fruition is something very special indeed. Everything about this day had to be perfect for me. However, the true magic in a location is proven when absolutely nothing goes to plan and it's just as magical as you imagined it would be regardless. We arrived and the parking was challenging as we hadn't anticipated that we would arrive on marathon day. 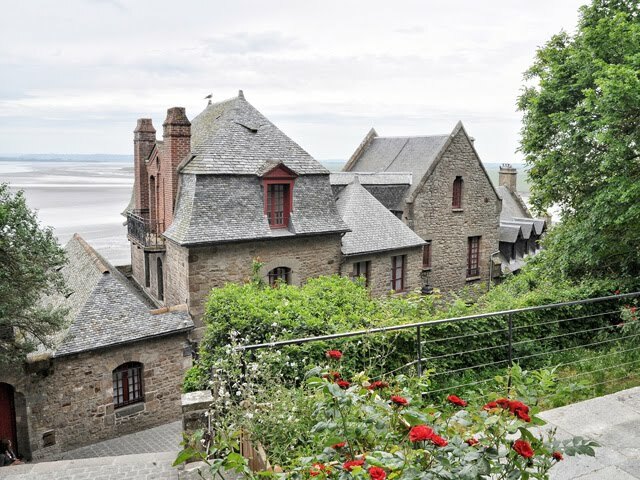 Yes, Mont-Saint Michel has a marathon. Then, the clouds came in and threatened serious rain. Follow that with me wanting to be super romantic and take a horse drawn carriage into the town, that took half an hour longer than taking the free shuttlebus, and you have a woman on the edge of frustration. 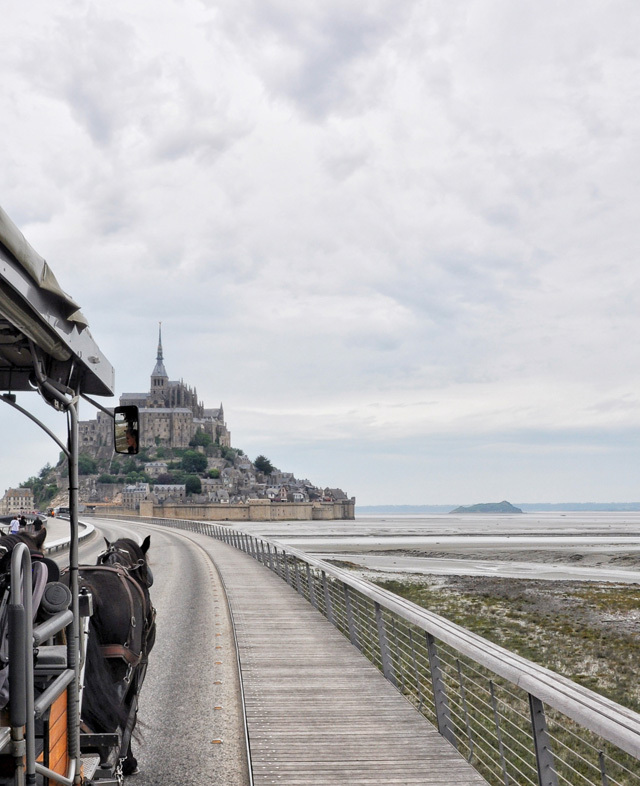 As our horses approached the gates to Mont-Saint Michel, and the crowds thinned while the rain started in, I felt as if somehow everything was just as it should be. We made our way through the gates and started the rather arduous climb up to the cathedral. Half way there we were both out of breath and thinking this would be a good opportunity to stop and have some lunch. Yes, we are both desperately out of shape. Folks, be warned. This is no easy experience. 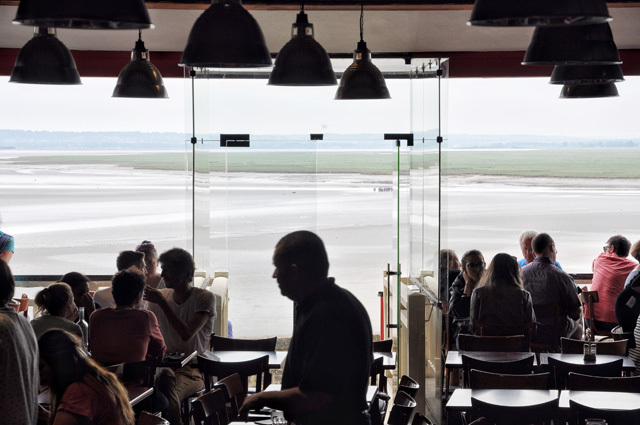 Lunch was moules et frites (read that as mussels and fries) with an epic view of the empty basin below. We treated ourselves to a glass of wine, tucked into the most delicious (and surprisingly inexpensive) mussels ever had by either of us, and discussed first impressions of the island miracle. Then we made the climb to the top, the very top. It's really what must be done here. 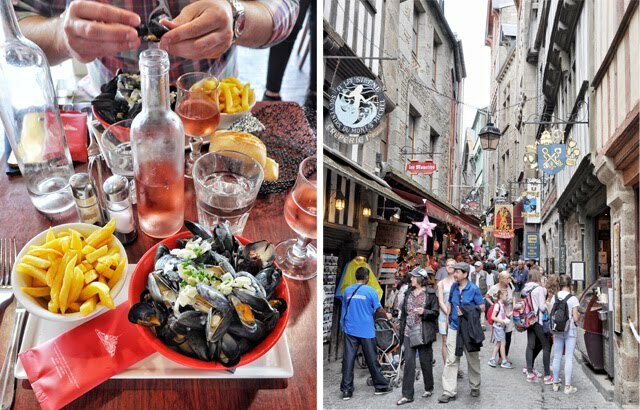 One can't go all the way to Mont-Saint Michel and simply stop for mussels. Sure, stop along the way, but get to the top if you are able bodied. The view will knock the remaining breath straight from your overworked lungs. And it is a view you must see for yourself, so there are no pictures here. It's a "phone down" moment that is best enjoyed with a loved one by your side and eyes and heart wide open to what you will discover. On our fourth and final day in Normandy, we decided we would allow for "discovery" along the way back to Calais, before catching the train. We were scheduled to leave early afternoon so we thought we'd enjoy the drive and see what we see. 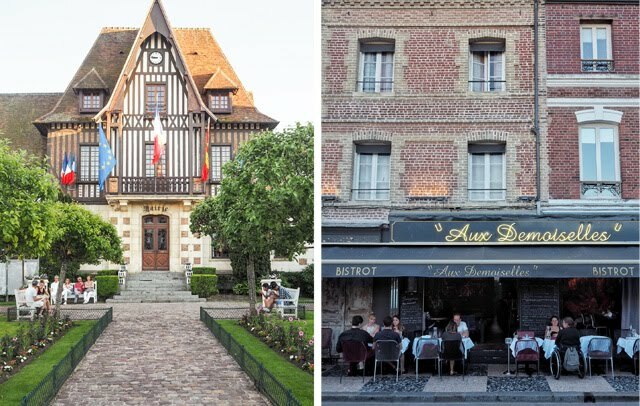 Well, our travels took us straight into Honfleur - a town so picturesque you will believe you are walking in a movie set the entire time you are in-situ. I just kept taking pictures. I couldn't help myself. I'm pretty sure I took over two hundred of the buildings along the harbor alone. How was any of this real? Even as I write and look at the pictures now, I think to myself "I must have photoshopped this." Nope, all real as can be, folks, and simply beautiful. 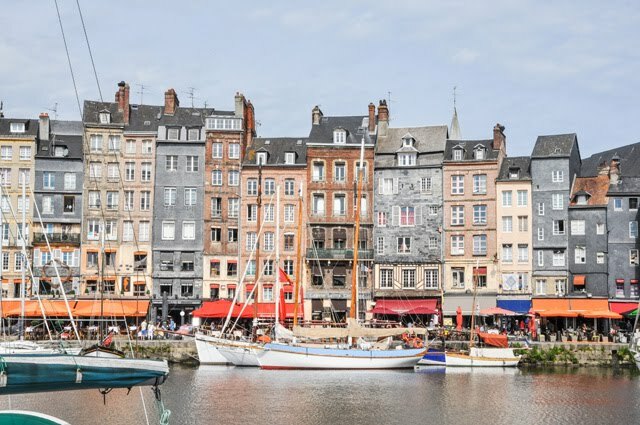 While Honfleur is the only town I will point out as a must on this day, I will say that we decided to take as scenic a route as possible when returning to Calais to catch the tunnel train. We stayed as much along the sea roads as we could, all the way up to Diepe. 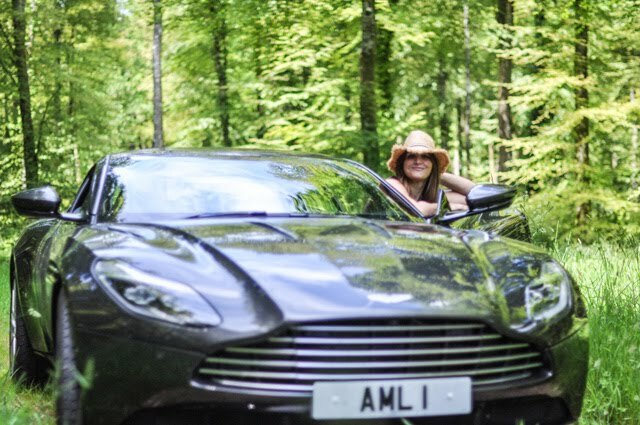 That's the thing about the comfort of the Aston Martin DB11 - you don't actually feel like the extra journey is extra at all. In fact, we were constantly looking for ways to extend our travel so that we could spend more time in the car and, if you'll allow me, I'll just give you a few reasons why. 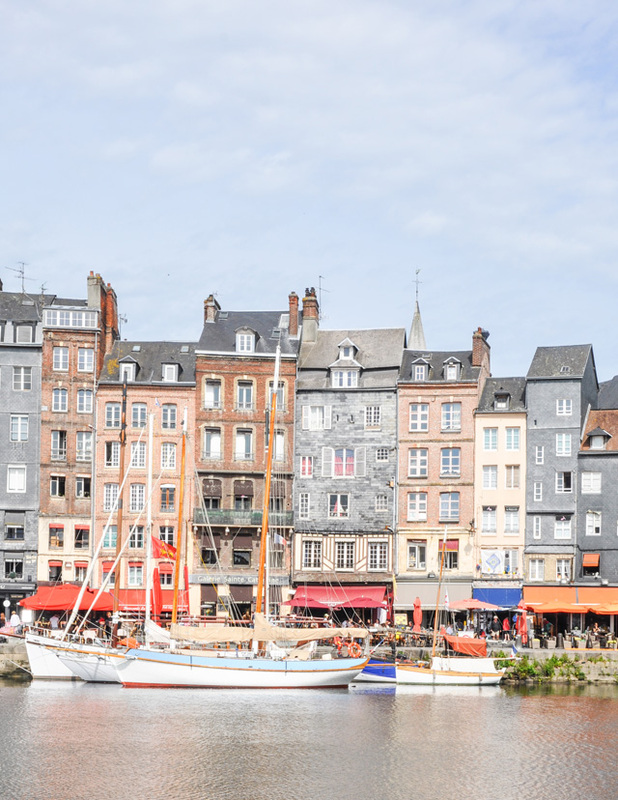 But first, some pictures of Honfleur. 1. Driving an Aston Martin such as the DB11 will make you feel like the supermodel you always wished you were. I kept saying to Mr. FFG that I felt like Cindy Crawford in the Diet Pepsi Commercial. People were pointing, whistling, taking pictures and begging us to rev the engine. This is a sportscar that is worshipped, not envied. People don't look at you wondering why you parked over £150k in a car. They look at you as if you are a fine collector of one of life's great pleasures. 2. The bells and whistles found in the Aston Martin DB11 all proved to be essentials rather than conveniences. We used both cupholders (we were very pleased to discover there were two in this model) and the sat nav became our best friend and was oh so polite with instructing us throughout our journey. The seats were the perfect temperature adjusters as they were both heated and air conditioned - use at your leisure. So while Mr. FFG was constantly cooling down, I was enjoying the heated seat to get comfy in between stops. Paradise, I tell you. And of course the seats themselves might as well have been a sofa. There was plenty of leg room, the masterful construction of the seats made you feel snug and safe in your space and the clever little storage spaces around you meant that the area could be clutter free of life's many required pieces of tech. Yes, there are even USB chargers in the armrest where one can hide their phones away, letting them sleep and regain energy in preparation for sending endless selfies to friends while seated in said vehicle. Come on, you had to know I would indulge. As for the look of the interiors itself, well that's up for debate. We'll agree to disagree on that one point. 3. Now, let's talk about petrol (that's gas for the American readers) for a moment. Now, we expected that our greatest expenditure throughout the weekend would be petrol. I was ready for this. And in hindsight, we actually expected a lot worse. The miles per gallon ended up far exceeding our expectation. We averaged around 24, all said and done. And we spent nearly $400 on gas. You do the math. We did a lot of driving!! 4. When it comes to trunk space, there is enough for a weekend away but not for a major shopping spree while travelling. I won't lie. I did have visions of coming back to England with wine, a few antiques and perhaps a treasure or two. The reality was this- there is room enough for luggage for two or three. This is still an improvement on most sports cars when it comes to holds for luggage, so one can't complain too much. In truth, it kept me from being frivolous with money, so no complaints there. 5. 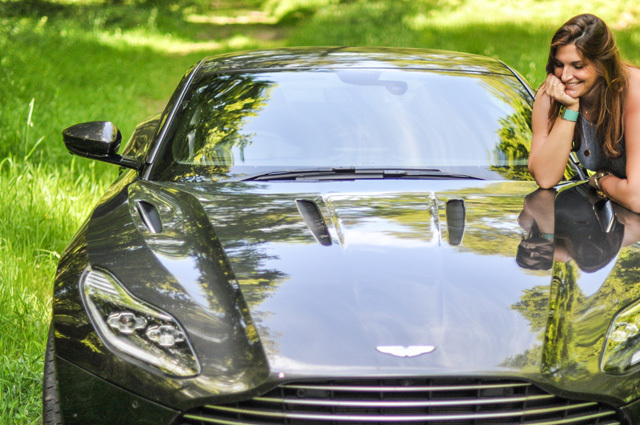 Let's talk cash here, because you'll need a penny to two to grab hold of an Aston Martin DB11. To be exact, you'll need 15,000,000 pennies as the Aston Martin DB11 starts at £150,000. I started a penny jar the moment it was picked up. This is, by far, the favourite when it comes to Aston Martins in the FFG household. Handing, comfort, speed and first impressions were everything. 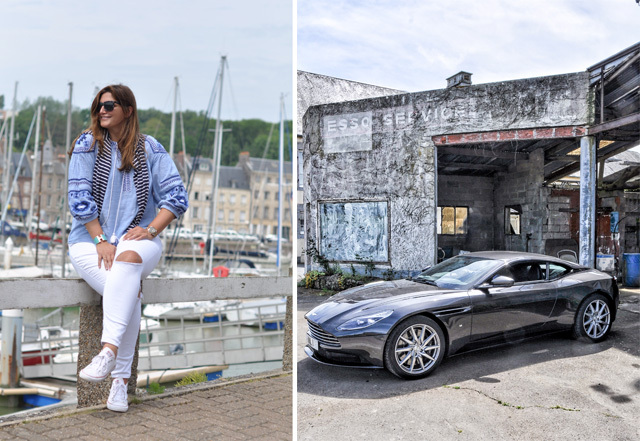 To roadtrip around Normandy in anything else at this point would be catastrophic from our perspective. Spoiled rotten, we are! 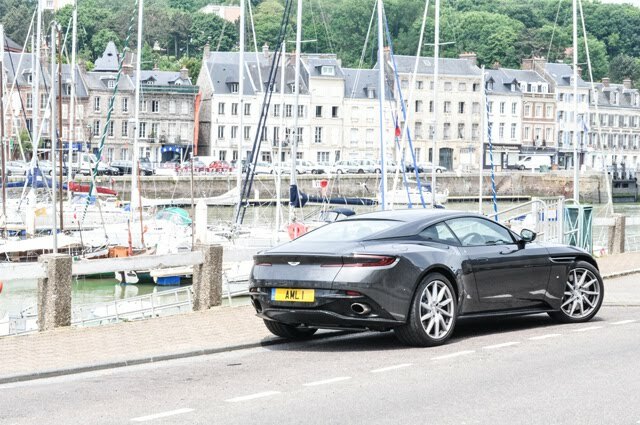 Thank you to Aston Martin for loaning FFG a DB11 to spend a weekend in Normandy!